My ideal spring cleaning plan is pretty simple. While my ideal spring cleaning plan is to open a bottle of wine and drink it on my porch enjoying warm air, it’s not often that I can do that. After years of spring cleaning I have several tips that will make spring cleaning easier so you can enjoy the warmer weather. While I regularly deep clean the house because of my toddler, spring cleaning gets into all sorts of nooks and crannies that only get cleaned once in a while. My spring cleaning routine hits almost every part of the house inside and out. However, it is built around my own regular cleaning schedule. When you start your own spring cleaning routine you will need to keep your own regular cleaning schedule in mind. My cleaning schedule varies from week to week. Some weeks I do a major cleaning in which I spend an hour cleaning the whole house. Other weeks I spend 15 minutes every day cleaning a room. I vacuum at least 3 times a week. Hard floors, like wood or tile, get washed once weekly. I dust, wash windows, and clean marks off walls at least once a week. My bathroom gets cleaned up to 3 times a week. I know that seems like a lot but I have a toddler boy and well … you can understand. Finally, my normal cleaning routine includes things like scrubbing grout, getting into corners and nooks and crannies. So when it comes to spring cleaning I clean things that literally only need to be cleaned a few times a year. 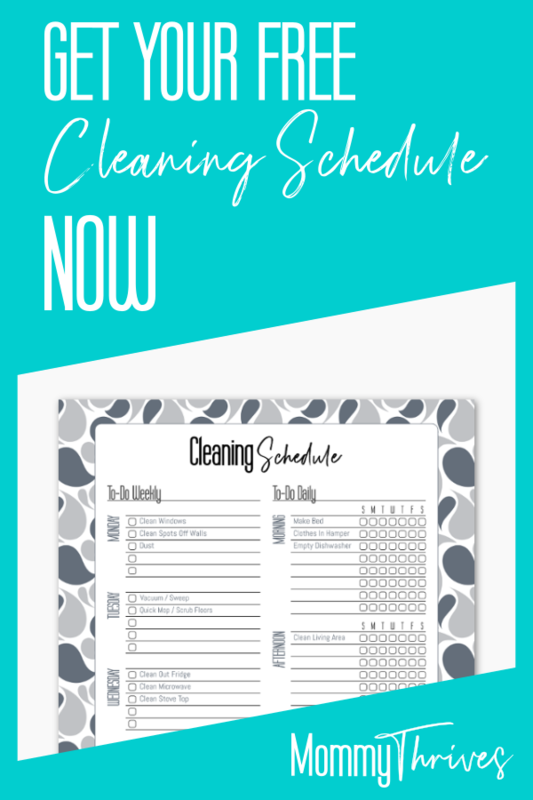 Check out my post The Most Efficient Cleaning Schedule. When spring cleaning there are a few things I like to focus on. These are things you rarely think about or even look at, but cleaning them can make all the difference in your home. Start with the blinds, take them down and plop them into the tub with a bit of cleaner. An all purpose cleaner or even dish soap will do the trick. If you dust your blinds regularly like I do you should only need to do this once a year. Let them soak for a little bit while you vacuum out the tracks of the windows. If you have stains sprinkle some baking soda in the tracks and wipe out with a hot rag. Go back to your blinds and wipe them down with a rag and drain your tub. While you wait for the blinds to dry a bit wash the outsides of your windows. For second story windows use your hose with the window cleaner. Finally dry off all the blinds and put them back up. While you are outside cleaning windows use this time to sweep off the porches, stairs, or outside seating areas. Hose off fences and decks. Clean patio furniture and any outside toys. Save tilling a garden, planting seeds, and any other garden work for another day. When it’s time to start planting. Pull all the cushions off your sofa, vacuum the cushions and under the cushions. If needed pull the covers and wash them. Move the furniture from it’s spot and vacuum or sweep and wash under the furniture too. This task varies. I usually do it at least once a month due to toddler and pet activity. Weekly if I have hardwood floors. However, if you don’t have toddlers and pets you may only need to do this a few times a year. Take down all your lighting covers and wash them. Remove dust from ceiling fans by taking an old pillow case and putting it over the blade and pulling the dust into the case. You can shake out the case outside before washing it. Remove vent covers and wash them. If you have floor vents vacuum out the inside. Clean your air intake as well and change your filters. I have a toddler so this gets done weekly in my house due to the high possibility of my son having peanut butter on his fingers. Grab a Mr. Clean Eraser and get all those dirty fingerprints of door jams, corners, or the middle of the wall. While everyone cleans their flooring regularly there are a few things we don’t do to our flooring but a few times a year. Scrub the grout, vacuum and wipe down baseboards, scrub carpets and shake out all those rugs. Flooring is pretty simple. Just do a good scrubbing on your floors to get all that extra dirt and out. If you don’t want to use chemicals try using baking soda on your carpets and grout but please keep pets off of baking soda as it can cause health issues. Check out my post How To Clean With Baking Soda. Deep cleaning your bathroom can be one of the worst tasks of spring cleaning. This is not a regular spray, wipe, sweep, and mop job. Deep cleaning your bathroom means scrubbing baseboards, walls around the toilet, and really cleaning the grout. Remove drain plugs from sink and shower and clean them. Switch out toothbrushes, clean light switches, clean out under the sink too. Use this time to declutter your beauty products. I have a list showing when popular beauty products expire here. Pull everything out of all of your cabinets and wipe out the insides. Clean cabinet doors too. Make sure you clean out your pantry and wipe down those shelves too. Clean out your oven, microwave, fridge, and dishwasher. Wash out that garbage can too. Scrub your sink and counter tops. Remember to clean vents, grease traps, and the tops of your fridge and cabinets. Never seen means it is probably harboring allergens like dust. Check out my post 5 Items You Need To Declutter Your Kitchen. Pull your summer clothes out of storage and hang them up. Go through your winter clothes and decide if there is anything you would like to donate – store the clothing you want to keep. Go through socks and make sure all matches are there, throw out any missing a match or use them as dusting rags. Additionally, throw out any old socks or underwear that has holes in them. Sprinkle baking soda on your mattress and take a scrub brush to scrub it in. Vacuum your mattress. If you can – go ahead and flip or rotate your mattress. Clean out behind nightstands, dressers, and headboards. Honestly, I don’t look at spring cleaning as a massive weekend project. When you keep up on your housework you just add in a couple extra tasks throughout Spring. Doing your spring cleaning this way it isn’t a insurmountable task that just looms over a wonderful time of year. Open up those doors and windows, let the fresh air in and enjoy the crisp smell of the new warmer season. Spread out these tasks over the course of a week or month. Don’t try to do them all at once. If you follow a normal cleaning schedule it’s less likely that your house needs a massive deep clean. Once your house is spotless do reward yourself with some chocolate treats and maybe a glass of wine. Tell your family that unless they are broken, bleeding, bruised, about the get ran over by a tornado or the house is burning down to leave you alone while you go take a nice hot bubble bath. Keeping a clean house is great. However, if you don’t have the time due to business, after school activities, work or work functions, it’s ok. You do a little bit when you have time, you ask for people to chip in by doing an extra chore and the house gets cleaned. How do you approach spring cleaning? Leave a comment below. 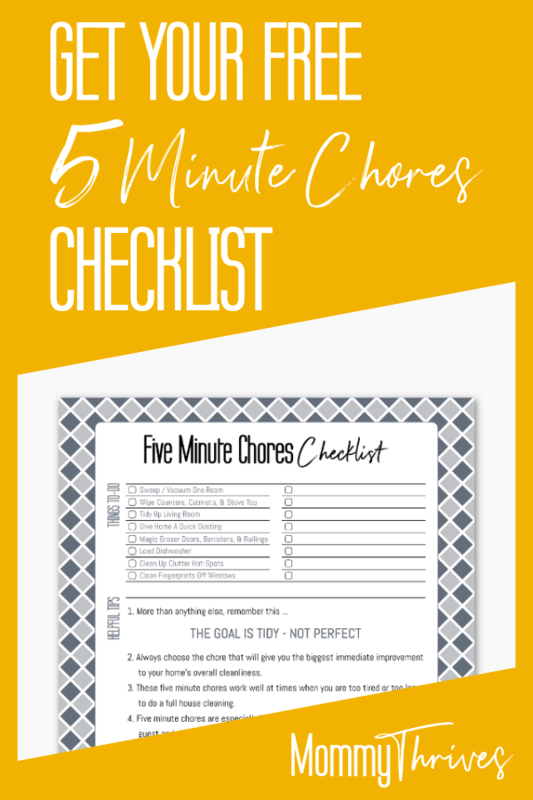 Follow me on Pinterest for more like this and pin this to your Cleaning and Organizing boards.